Yemen is experiencing one of the world’s largest, most complex humanitarian crises. Almost the entire population requests humanitarian assistance. Conflict has led to the internal displacement of 2 million people, left over 1 million public sector workers without pay for two years, and has undermined access to ports and airports, obstructing essential humanitarian and commercial deliveries. Growing food insecurity, poor water and sanitation, and the spread of preventable diseases threaten millions more. The caseload of outbreaks of acute watery diarrhea and cholera has reached over one million. The strain on an already weakened health system has been further compounded by the diphtheria outbreak in early 2018, with over 2,200 cases so far. In addition, 16 million people lack access to safe water. 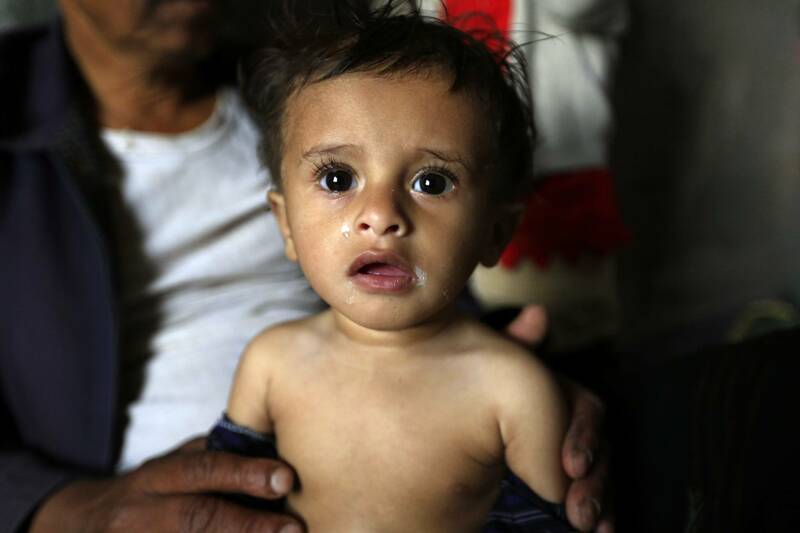 Half of Yemeni children (under the age of 5) are chronically malnourished. In fact, 1.1 million pregnant or lactating women are anaemic. When giving birth, these women know that their children will be of low birth weight, starting a cycle of malnutrition and leading to chronic malnutrition and all the ensuing health consequences for their children. As chronic malnutrition has an incredibly important impact on a child’s brain development, 50% of Yemeni children under the age of 5 who are today chronically malnourished are children who will never develop their full intellectual potential. Regarding children’s health, vaccination levels have gone down dramatically since the beginning of the war. There is no country-wide immunity, so there are regular outbreaks of measles and diphtheria – with a fatal impact on children. Today, every 10 minutes, a child is dying from diseases that can be easily prevented. Due to the ongoing war and the economic crisis, essential commodities are becoming unaffordable for most Yemeni families. In addition, in a water-scarce country like Yemen, water needs to be pumped from boreholes that are up to 1,5 kilometres deep. The pumps need fuel, which is also becoming increasingly expensive, meaning that water is becoming a costly commodity too. One of the children suffering from malnutrition is Yahya, who has to fight hunger every day. Yahya, who lives in Sanaa, is but a few months old. His father had not been able to feed him adequately for quite some time and had to take him to a UNICEF health post, where he got weighed. 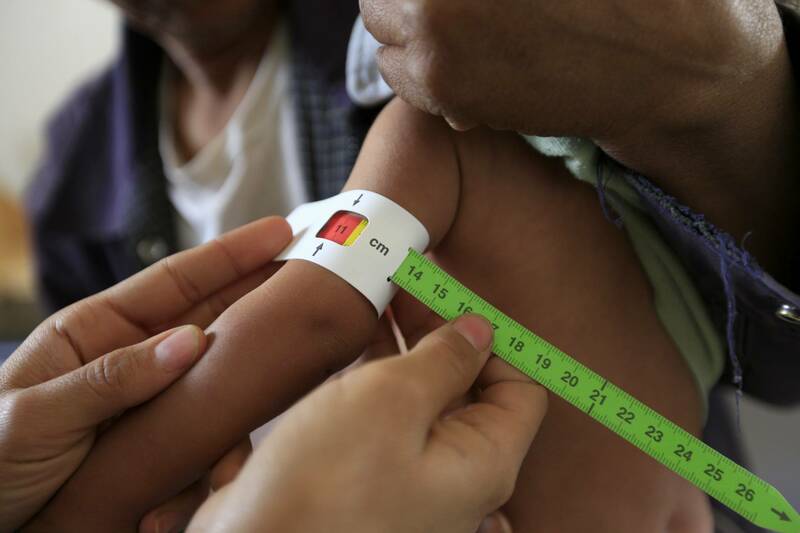 With the help of a measuring band UNICEF was able to determine Yahya’s level of malnutrition with a clear result: The red area showed that Yahya was severely malnourished. UNICEF was by his side and provided Yahya with therapeutic food. In order to combat malnutrition, UNICEF does not only provide nutritional help, but also supports 1,5 million families through an Emergency Cash Transfer Programme. The families receive a small monthly allowance from UNICEF to help them buy fruits and vegetables as well as other necessary items. UNICEF furthermore provides families with clean drinking water, vaccinates children against the most common childhood diseases and provides psychosocial support to traumatised children. Following these positive results, UNICEF will step up its cash assistance and its efforts to prevent and cure acute malnutrition. UNICEF will furthermore start paying incentives to allow teachers to have a minimum of compensation for their continued work in the absence of a salary. The same approach is currently being explored to support health workers and people who are active in sectors like water and sanitation for them to continue their critical work as they await their salaries. In order to continue its work for the millions of children and adults in need, UNICEF is requesting financial support to scale up its efforts and prevent children from dying of malnutrition. Yahya has to fight hunger every day. and his arm is measured to determine the state of his malnutrition. 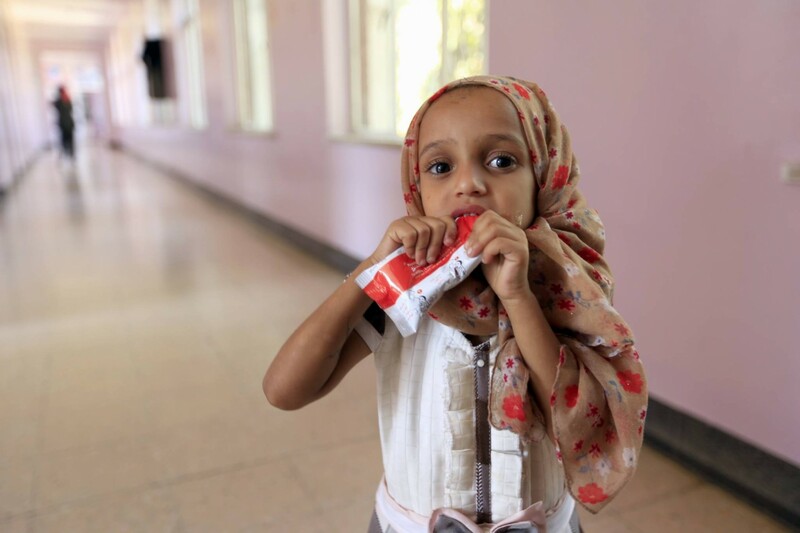 How can you support Yemeni children?